It’s no secret for you that providing the best possible guest experience and building lasting relationships with guests are vital to a hotel’s success. With more and more guests looking to create their own unique travel experiences, gather inspiration from others and share their experiences with their friends and family, it’s now very important to engage with guests at key touch-points before, during and after their stay. Don’t forget that we are living in the social media age. The first impression is no longer the lobby and the guest interaction with your hotel starts online. Guests are more demanding and expect more from hotels when it comes to online experience. We learnt in a recent J.D. Power’s survey that hotel guest satisfaction in 2014 has reached its highest level since 2006. The results weighed in at 784 points on a 1,000-point scale, up seven points from 2013. This study tracking guest satisfaction shows the ongoing efforts from hotels to improve this key success factor. Guest Relationship Management Systems increase overall guest satisfaction and guest engagement. Consequently, we wanted to find a solution for our users to help them in that mission. We are very happy to integrate Guestfolio’s solution because since its creation in 2008 this company has constantly provided hoteliers with excellent services. 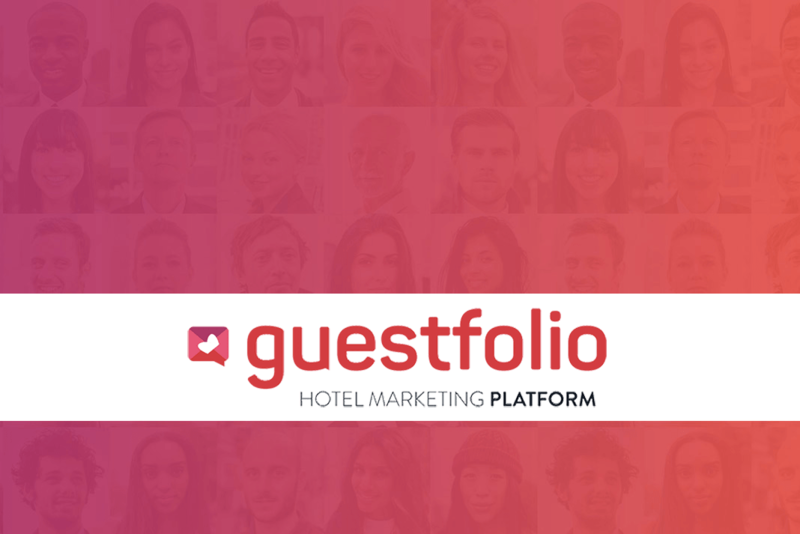 Growing everyday, Guestfolio now services hotels in over 400 cities worldwide and delivers over 900,000 digital communications to guests monthly. - Better engage with their guests from booking to well after check-out. - Monitor the effectiveness, ensuring an on-going relationship that builds trust and brand loyalty. - Generate more sales and revenue. - Build pre-arrival program according to the specific guests needs. - Guests can plan their stay and make requests for services before their check-in. - Send beautiful and customizable communications to the guests. - Send post-stay guest satisfaction surveys that automatically integrate with TripAdvisor®. - Build and send email marketing campaigns using targeted segmentation directly from Frontdesk Anywhere PMS. With the guest profile at the heart of what Frontdesk Anywhere and Guestfolio do, Frontdesk Anywhere users will now have the opportunity to sync real time with one of the leading guest relationship management systems, ultimately providing better visibility of guest interactions. In addition, hotels will be able to get to know their guests better, learn from them throughout their journey and better understand purchases. These three crucial benefits help hotels to keep their guests, enhance visitor experience and improve engagement.